HomeBlogTop 5 Blogger Outreach Tactics. Whether you’re part of an in-house marketing team or working for an external agency there are a number of ways to make connecting with bloggers a much simpler and more efficient process. Here are five of the best. Take a look at the sort of blogs out there and note the response they get. This will give you inspiration for topics, which are essentially the bread and and butter of a good outreach campaign. Quality, well written content that packs a punch is far more likely to be published than run-of-the-mill, rehashed articles. The best bloggers to connect with as part of your outreach are influential within their respective fields. Ideally, their subject area would allow you to write quality content that ties in with your business  but think outside of the box. For example, if you’re a football manufacturer your first port of call would likely be sports bloggers but make sure you assess other aspects of your company as well. Has your business/ client embarked on a CSR campaign that would tie in nicely with a charity blog? Or does your marketing department have something to share with readers of an SEO blog? So you’ve thought about the sort of blogs you’d like to target; the next step is finding them. Firstly, take a look at the Technorati blog directory to find genuine blogs in the sectors you have highlighted and approach the owners directly. Provide links to the quality content you’ve guest posted elsewhere alongside several innovative ideas for topics. 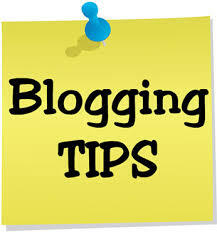 Look into guest post communities for bloggers such as Blogdash.com. These forums connect real-life bloggers with businesses and allow you to search by keyword categories, Klout score, location and more. When people comment on your guest posts make sure you respond. Not only will this help you get involved in conversation surrounding your business and build your community online, it also provides the opportunity to get to know other bloggers in your target area.